Aside from clothes and shoes, I enjoy stocking up on beauty items. 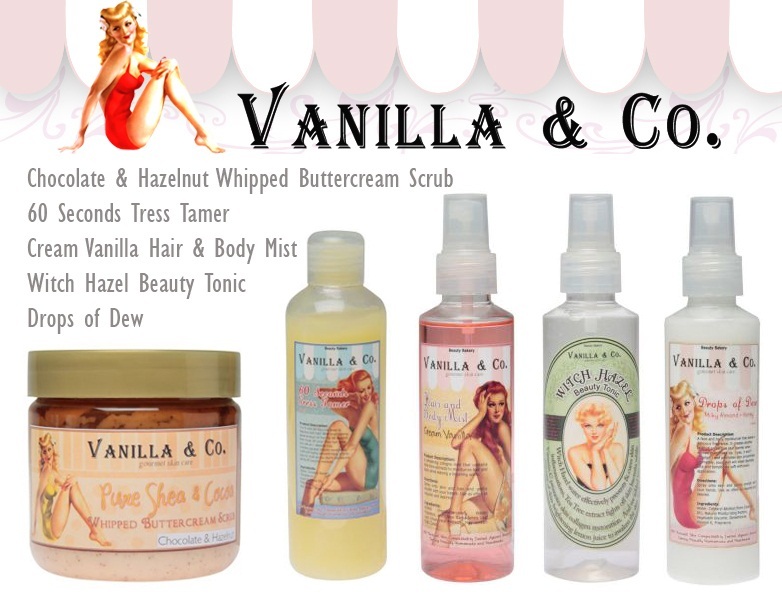 As of the moment, these Vanilla & Co. body treats are some of my favorite skincare products. First of all, the packaging is great. I love the whole 1940's vibe and the product labels are so pretty! I used to purchase bottles of green tea and cucumber body scrubs before so this Chocolate & Hazelnut Whipped Buttercream Scrub is a nice (and yummy) alternative. It's a blend of chocolate and hazelnut caramel that leaves a sweet and zesty scent while exfoliating the skin. The second item is the 60 Second Tress Tamer. It has fine ingredients to silken frizzy and tangled hair. In just 60 seconds, you can achieve gorgeous silky hair! Next product is the Cream Vanilla Hair & Body Mist. I love the smell of vanilla and it's great that you can spray it on your skin as well as on your hair. Because we're living in a tropical country, the Witch Hazel Beauty Tonic will always come in handy as it refreshes & hydrates parched skin. And lastly, Drops of Dew, a moisturizing cream, is a perfect combination of seaweed extracts, olive oil and milk that will nourish and tone the skin upon application. 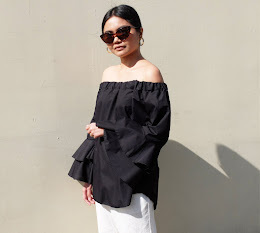 If you guys want to try any of these items, head on over to ZALORA's beauty page. They have lots of options to choose from and did I mention that the prices won't break the bank? The Tress Tamer is just P300 and the rest of the items are P199 each. The products are amazing and a nice addition to your dressing table. i love the vintage package!look so great!i'd love to try them.